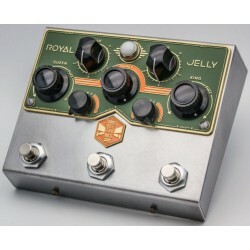 The Royal Jelly is an overdrive/fuzz blender like no other pedal. It can cover any ground from overdrive to fuzz, running two circuits in parallel and giving you the possibility of blending it or having them separately. 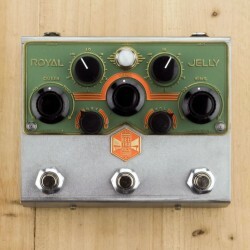 It also has two presets of the blend, called Queen and King. 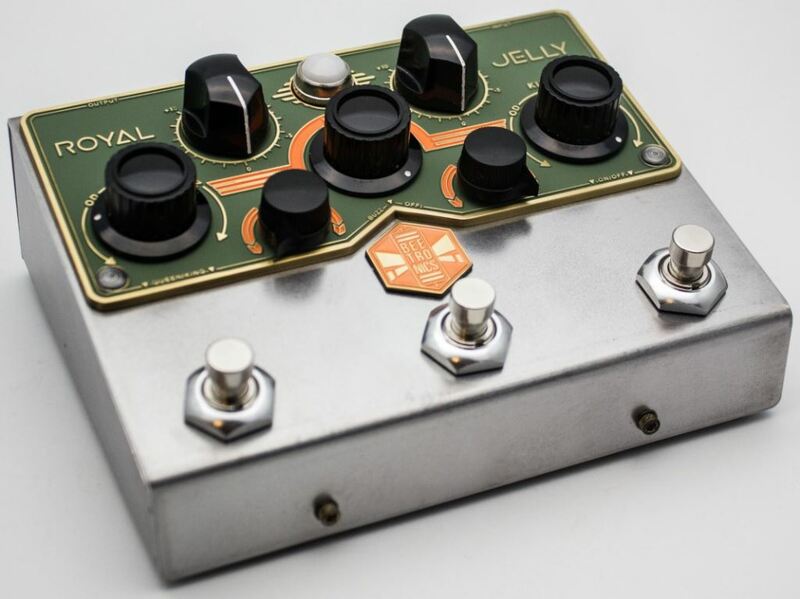 The presets allow you not only to have two different sounds on the fly, but also make for a very natural transition between them, since instead of switching pedals, you are mixing the levels between your overdrive and fuzz. It’s also possible to blend in your dry signal, a great feature for bass, drums and synths or any studio use. On the guitar the DRY control is great to create unique clean tones with a fuzzy background. 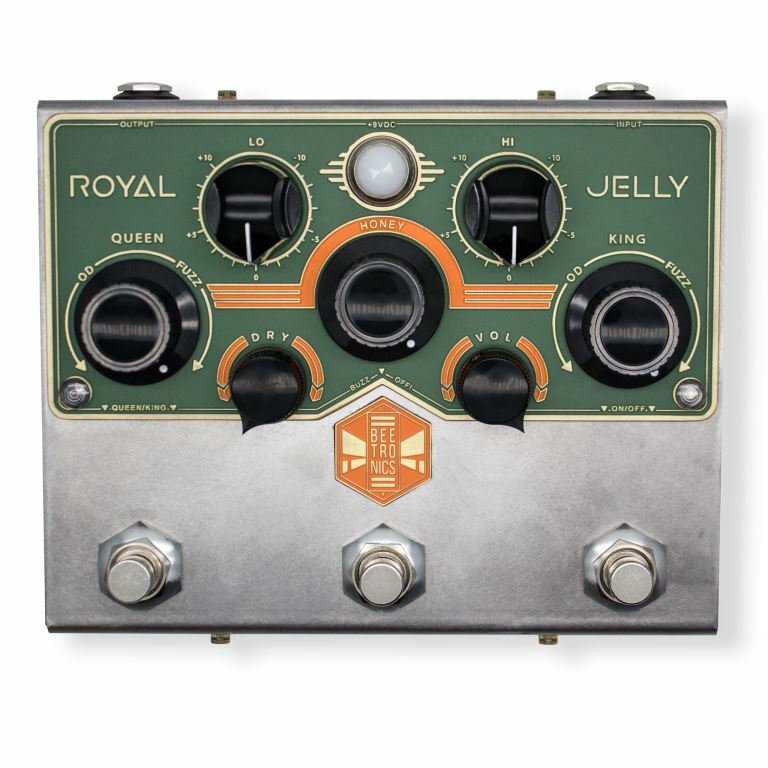 The Jelly’s powerful EQ gives you 10dB of cut/boost for HI and LO making it possible to shape your tone in many different ways, while the BUZZ switch adds that nasty high end usually found on the vintage fuzz boxes to its fuzz circuit. 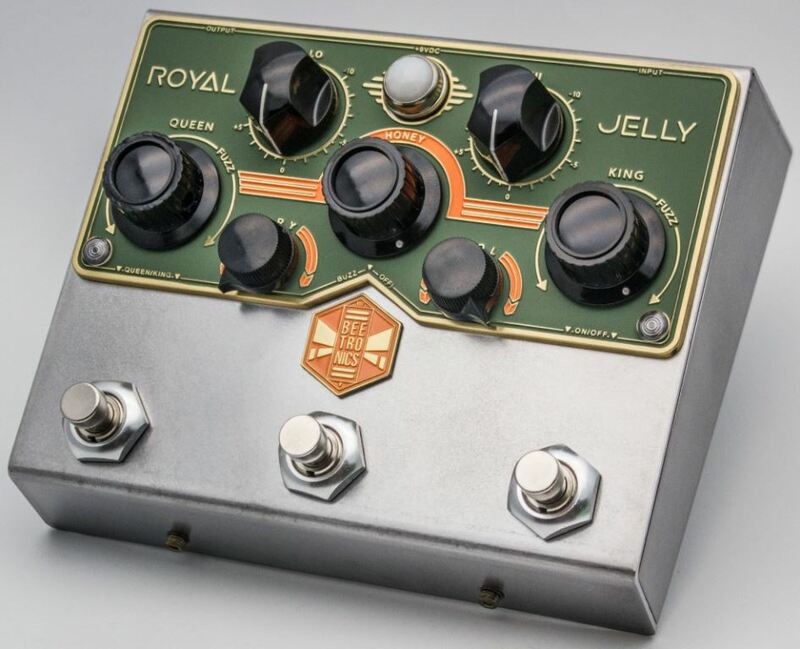 The Royal Jelly drips tone and it’s a pedal that can change your approach to overdrive and fuzz. Hand made in California by a swarm of bees. 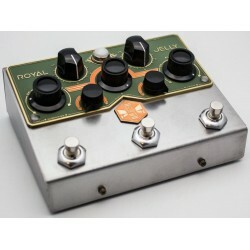 Pedal Dimensions - 6-1/8" x 5-1/16" x 2-3/4"
Package Size - 7-1/2" x 6-1/4" x 3-1/4"